It’s not just digital hardware that has grown in popularity in recent years; app software is becoming much more widely used. 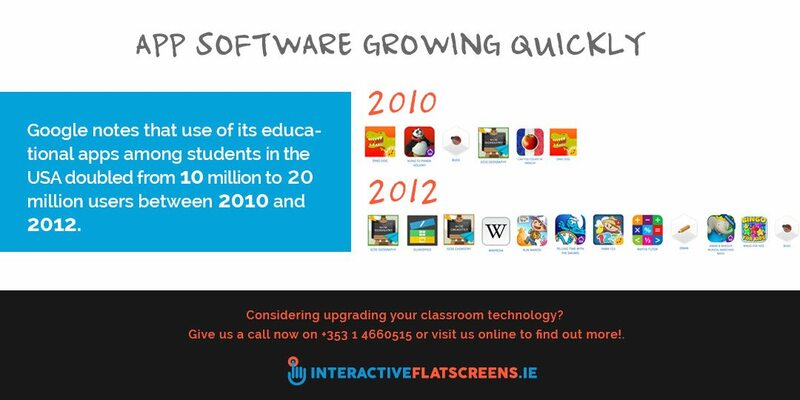 Google – which has invested heavily in developing educational systems – notes that use of its educational apps among students in the USA doubled from 10 million to 20 million users between 2010 and 2012. 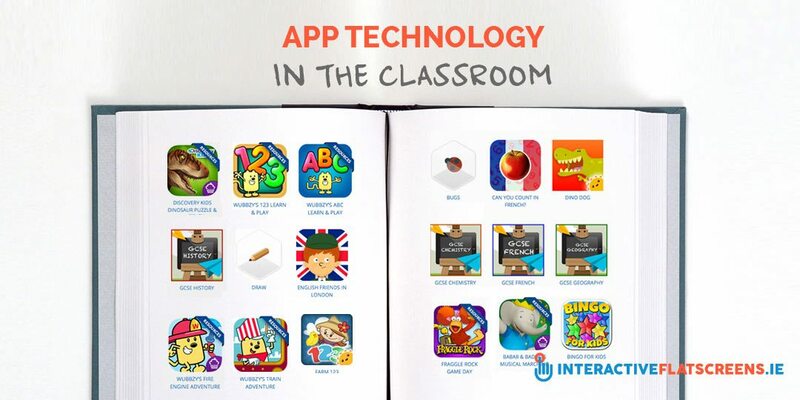 The UK & Ireland may be slightly behind this curve, as our survey revealed that only 4 in 10 (41.1%) British teachers and lecturers currently use app technology in the classroom. In addition, when we asked participants to name what software was most beneficial and frequently used within their classrooms, many of those polled didn’t include apps in their answer. Of those using apps, the Apple Store, Google Play for Education and Amazon are the most popular sources for acquiring new applications. Luckily, 70% of those polled trust some apps to have appropriate content, but their trustworthiness generally lies in whether the content is free to use. Of course the top three sources for downloading apps are commercial enterprises, so if they are offered to schools on a free-to-use basis, they are likely to contain advertising or in-app purchases. This could prove to be a distraction during lesson time and also become costly to if a budget hasn’t been allocated by schools or colleges. 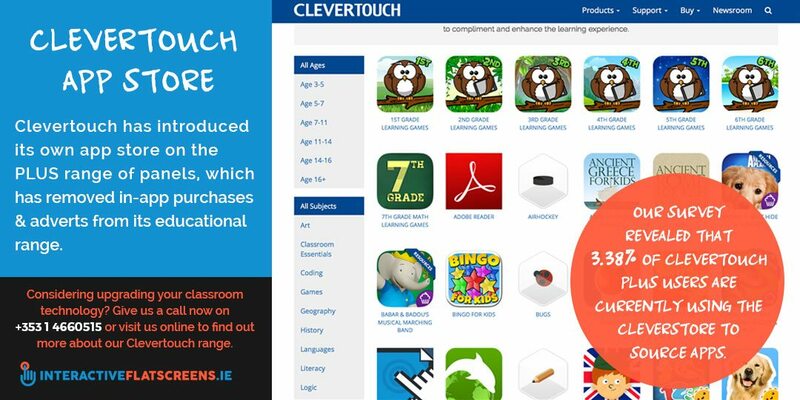 Interestingly, Clevertouch has tackled this specific issue head on by introducing its own app store on the PLUS range of panels, which has removed in-app purchases and adverts from its educational range. As a result, commercial app stores may come under increasing pressure to reduce the cost of educational apps and increase the standard of those that are free to use. Our survey revealed that 3.38% of Clevertouch Plus users are currently using the Cleverstore to source apps. You can find out how to install apps on Clevertouch in our tutorial video. Clevertouch Flat Screen For Your Classroom? Are you considering using CLEVERTOUCH Interactive Flat Screens in your classroom? They have lots of advantages over other interactive flat screens and traditional white boards with the Clevertouch app store being just one. Call us for expert advice or to arrange a demo on +353 1 4660515 or contact us online now!